Stone Legend Casserole with fitting glass lid is ideal for preparing pasta, sarma, goulash, stews, polenta, dumplings and more. It’s made of durable and scratch resistant enamel and steel with real stone particles that gives superior heat conduction. Suitable to use on any cooking surface: electric, gas, ceramic or induction. Easy to clean, dishwasher safe. Capacity: 3,3L and 4,4L. Mashed potatoes, hash browns, and more…. A more traditional taste that results from food being cooked on 5-layer sprayed Quantanium REAL STONE coating reinforced with natural mineral particles of stone and titanium. Healthier, low-fat cooking that requires just a drop of oil. More natural moisture, vitamins and minerals as even heat distribution produces gradual cooking that traps and releases nutrients slowly. 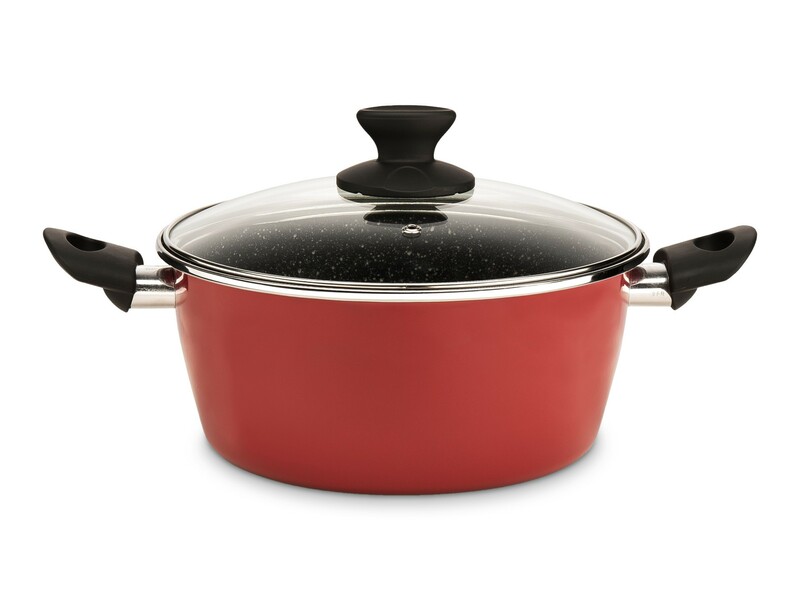 Delimano Stone Legend Casserole + Lid is made of 100% recyclable and environmentally friendly materials that are completely non-toxic and 100% PFOA free. Smooth non-stick surface is hard but smooth and non-porous, making it great for pan-sticky foods like eggs and fish. Extra abrasion resistance is extremely resistant against chemicals and scratching and has a long lasting colour fastness that won’t fade with time. 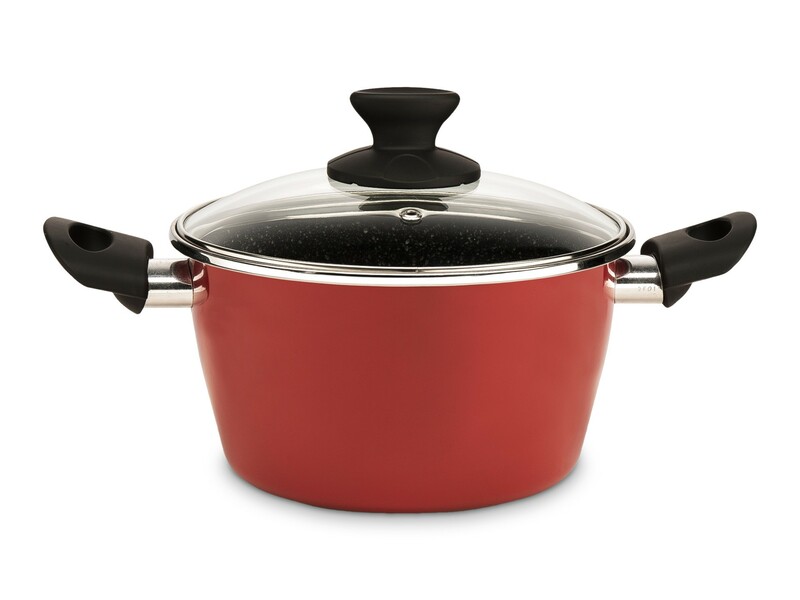 Made with a sturdy steel base, Delimano Stone Legend Casserole + Lid is sturdy and durable. Easy to clean properties, dishwasher safe.